Over the past few months, Vermont became the first state licensing board to consider increasing educational requirements specifically for civil engineers seeking professional licensure in the future. The Vermont Board of Professional Engineering’s assessment came in response to a request from Vermont state legislator and civil engineer Bob Krebs, P.E., L.S., F.ASCE, who had prepared draft language for proposed legislation that would require those seeking licensure in the civil, environmental or structural engineering disciplines, and who obtain their bachelor’s degree after Jan. 1, 2025, to complete an accredited master’s degree in engineering or an acceptable amount of additional coursework, to meet the educational requirements for licensure. The Vermont Section of ASCE and the Vermont Society of Professional Engineers stood together in support of the push to expand the educational requirements for civil engineers and expressed appreciation for the board’s consideration of the matter. 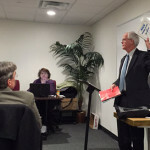 Both organizations have actively supported the update, and they worked diligently to inform the Board and other stakeholders about the need for the proposal. A joint message from VT-ASCE and VSPE issued following the state’s PE Board vote May 7 stated: “Although we are disappointed that the Board did not vote to endorse this proposal at this time, we believe that this is an important matter of public interest that affects the continued health, safety and welfare of Vermont residents, and therefore look forward to the opportunity for future consideration. The societies said that they will continue to work for expansion of future requirements and to continue to speak out in favor of increased educational requirements for future licensed civil engineers in Vermont (those already licensed would not be affected). This joint effort is part of the Raise the Bar initiative, one of ASCE’s three strategic initiatives to advance the profession and the public welfare, actively supporting the national movement to raise the educational requirements for licensure of future professional engineers. This initiative promotes change in state licensure laws so that professional engineers of the future continue to protect the public health, safety, and welfare. 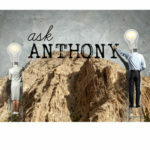 Ask Anthony: What Is Raise the Bar and How Will It Affect CE Education? I applaud the effort in Vermont to increase the educational requirements for licensure for civil engineers. This is a critical issue for the survival of our profession, nationally if not globally. This effort is about preparing engineers to practice and compete in a future, challenging, rapidly changing world. It acknowledges that, in spite of an explosion of knowledge in the last century our formal requirements for engineering education have not increased. Every other learned profession in the United States has gone this route. Similar to you I have about 40 years-experience in structural engineering and followed the progression of complexity from the original ANSI A58.1 to the current ASCE-7. I completely agree with you that ASCE-7 has become enormously complex to the profession’s detriment. However, this problem was not caused by too much education. It was caused by too little input and influence in the process by practioners like you and me. We have to get more involved. By the way, I looked you up in Linkedin and noticed that you earned a BS from Carnagie Mellon in the mid-1970s (a very fine school for structural engineering) and worked towards an MS at the same institution. Are you aware that the general educational requirement for a BS in engineering has declined from about 138 credit-hours when you received your degree to about 128 today? With this decline and with your graduate work I’m willing to bet that the education you received from CM equals or exceeds what Vermont and other states are trying to achieve today. There is absolutely no doubt in my mind that the Master’s degree I earned made me a better structural engineer, allowed me to do things in my career I would otherwise not been able to, and paid for itself many times over in increased compensation, career advancement, and satisfaction. “An investment in knowledge pays the best interest.” Benjamin Franklin. As a practicing structural engineer for 39 years, more Ivory Tower education is not the answer. Just look at how complicated ASCE7-10 has become compared to ANSI A58.1 that I started out with. I had to write out a 2 page document for a shed roof for a customer in a high seismic area just to determine what R factor for to use for the lateral load. What I do is based on all this “higher education” but accomplished with little more than middle school algebra. We need more practical engineering and simplification of codes and standards if we want a better built environment. Who is getting the hours and rates from all this complexity? Who can attest this is correct? My experience with practicing engineers is more education does not equal a better engineer. Usually the guys with MS or PHD turn a simple job into a research project which my customers cannot fund. PHD = Piled higher and deeper. Kudos to the engineers in Vermont who banded together to try to push the engineering profession into the future. 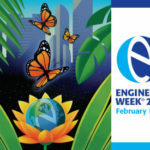 This effort isn’t about yesterday or today, but it is about the expanded responsibilities that future engineers will need, and the increased skills and knowledge that will be needed to meet that need – all for the pubic good. We need groups in every state to organize and move forward in this way, recognizing that the profession must embrace change in order to stay relevant.